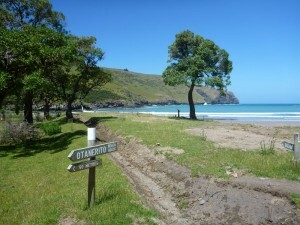 We have arrived for our last night on the Banks Peninsula Track- tonight we are in Otanerito Bay. The walkers have done another relatively short (6km) coastal walk. The latte ladies have been back to Akaroa for, of course, a latte. We have to line up with the hundreds of milling visitors of one of the many cruise ships that visit Akaroa at this time of year. 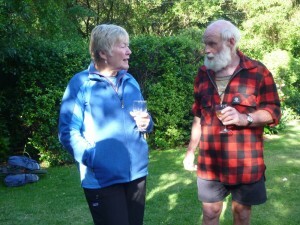 These days Doug and Fiona live in the house by the water and provide the accommodation for track walkers. But members of the Narbey Family have lived Otanerito Bay since 1858 when an ancestor jumped ship. After last night’s rustic no electricity experience, the first thing I notice on entering the house is a light bulb. 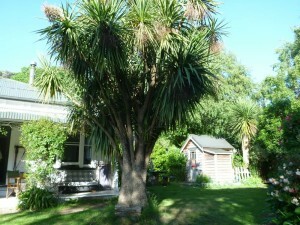 If last night was a hobbiton experience, tonight is a perfectly formed settler’s cottage. 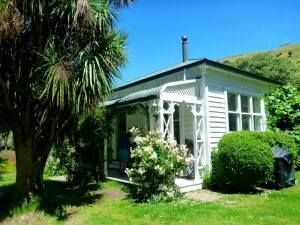 Verandahs framed by roses, with seats to enjoy the garden. A beautiful black sand beach tempts some of the walkers in for a dip, but I opt for sitting on some driftwood on the beach and watching. Opening the gate from the sheep paddock to the garden I am struck by the way all of the gardens on this trip seemed to have merged two kinds of gardens seemlessly, unfussy cottage gardens with roses and fruit trees and native NZ plant gardens. The result is stunning providing colours for bees, fruit for humans and NZ plants for our native birds. 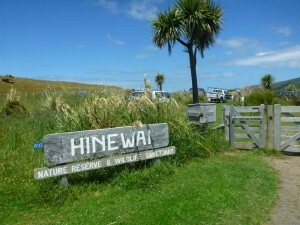 The last day of the track takes you through the 1250 acre Hinewai Reserve. Looking at maps, you could stay nearby and spend all your time exploring the walks in this reserve. 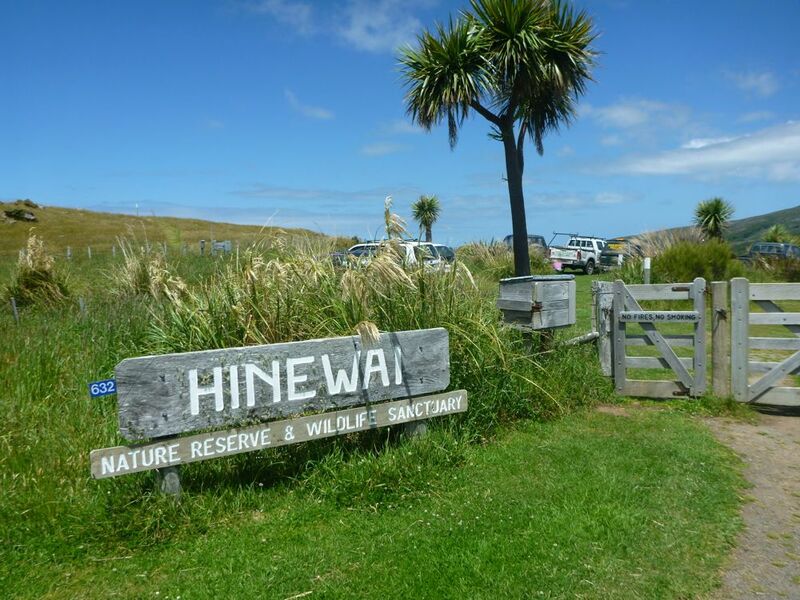 Hugh Wilson is the person whose passion is Hinewai. All the hand drawn maps and drawings on the Track walk are his. Hugh is famous for cycling everywhere in this incredibly hilly terrain – every few months all the way to Christchurch, tonight he cycles down to join us for dinner – it will be over an hour back up the hill for him afterwards – no problem to Hugh. 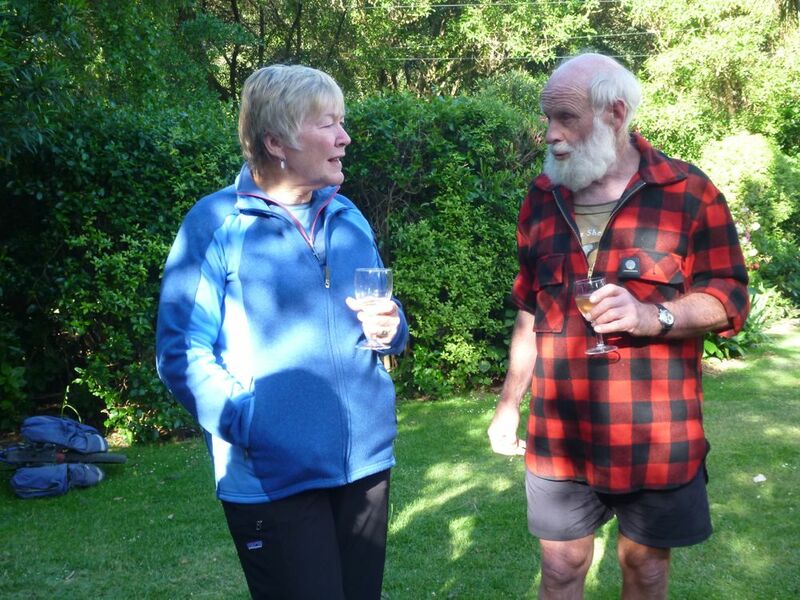 Hugh hand writes all his newsletters, he is not so much a luddite, as someone who treasures the past and channels that in his passion for the bush and the labour of love that is Hinewai. He is of course only one of those who have poured their love and energy into this nature reserve, but he is certainly part of it’s inspiration.